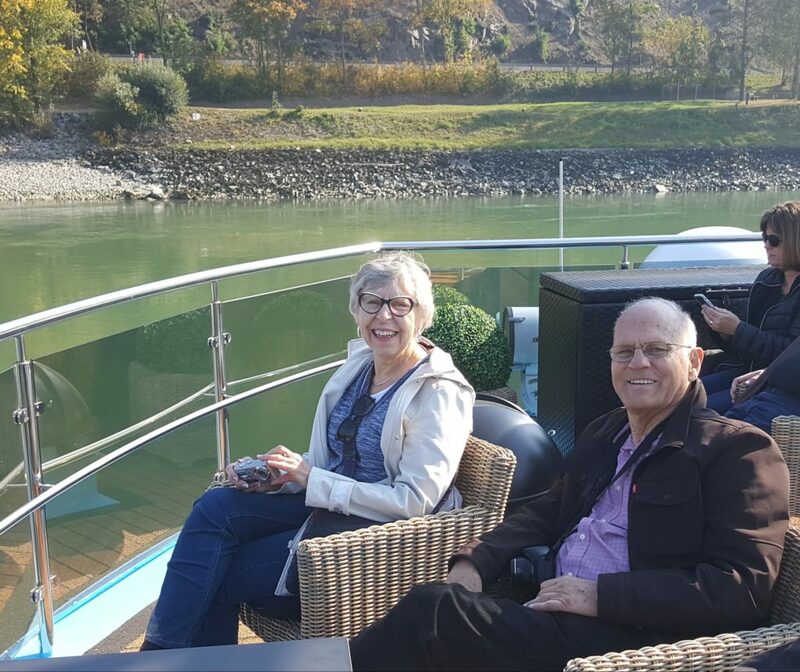 Enjoying a luxurious cruise down the Danube. 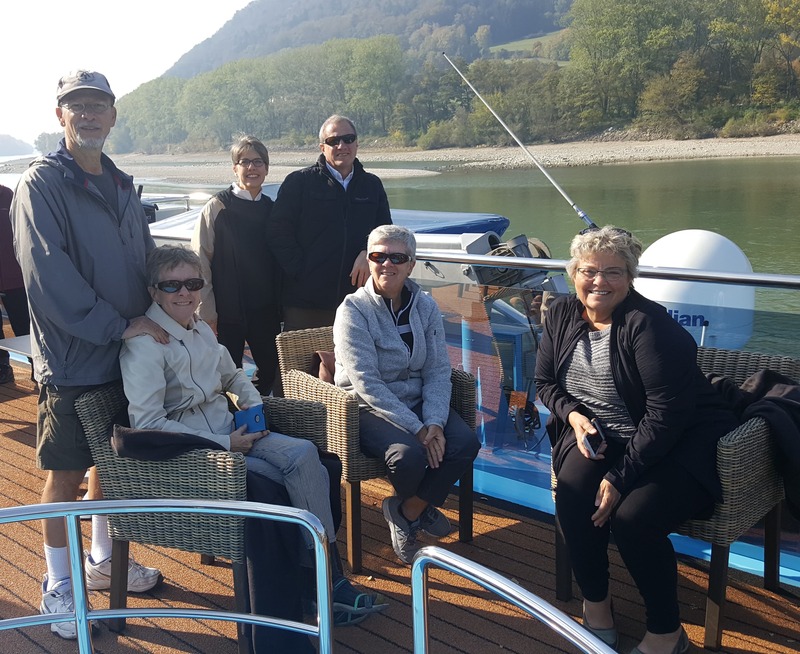 Docking at Dürnstein, Austria for multiple tour options from cycling along the river, a stroll through the beautiful village of Dürnstein or a steep hike up to the Dürnstein Fortress. 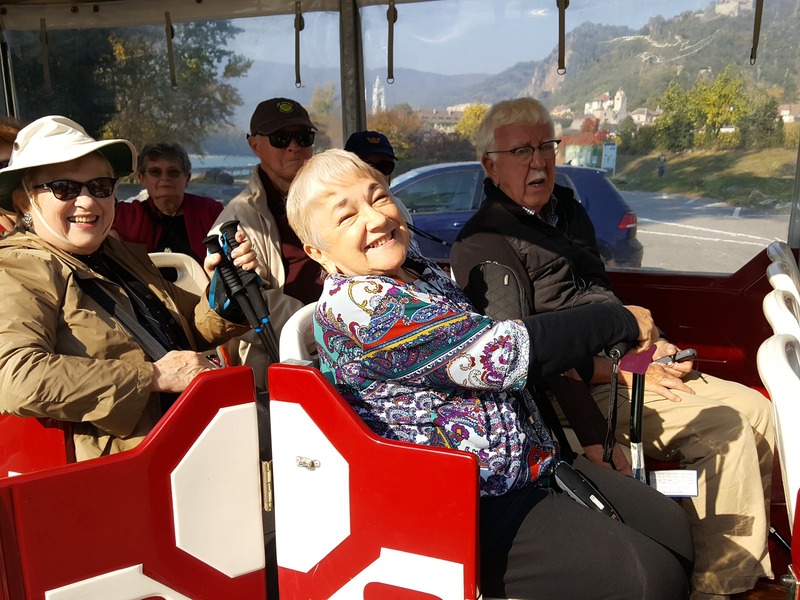 Suzanne and newfound friends taking advantage of the train trolley into town. 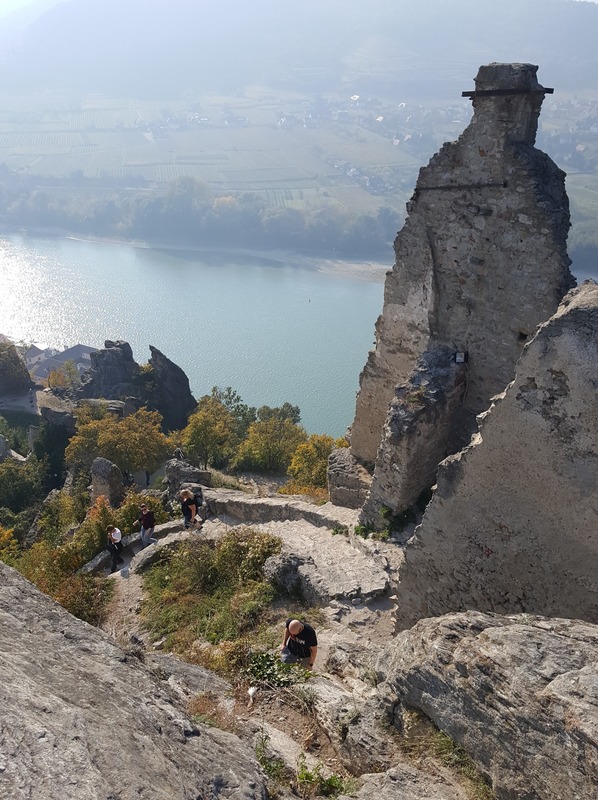 An incredible view from the Durnstein Fortress. Well known as one of a number of locations where King Lionheart was held captive in the 11th century. 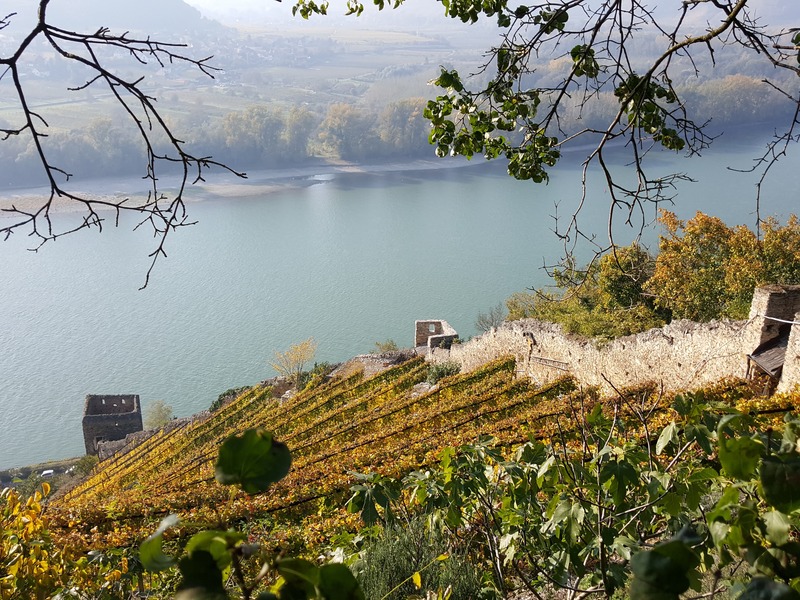 Exquisite terraced vineyards along the slopes surrounding Dürnstein. 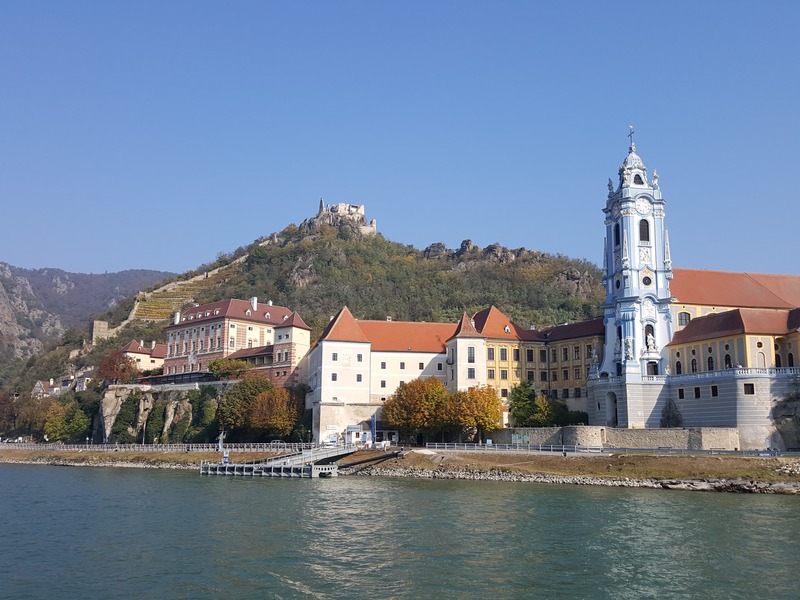 Before returning to the ship we were treated to wine tasting in a monastery in the village. 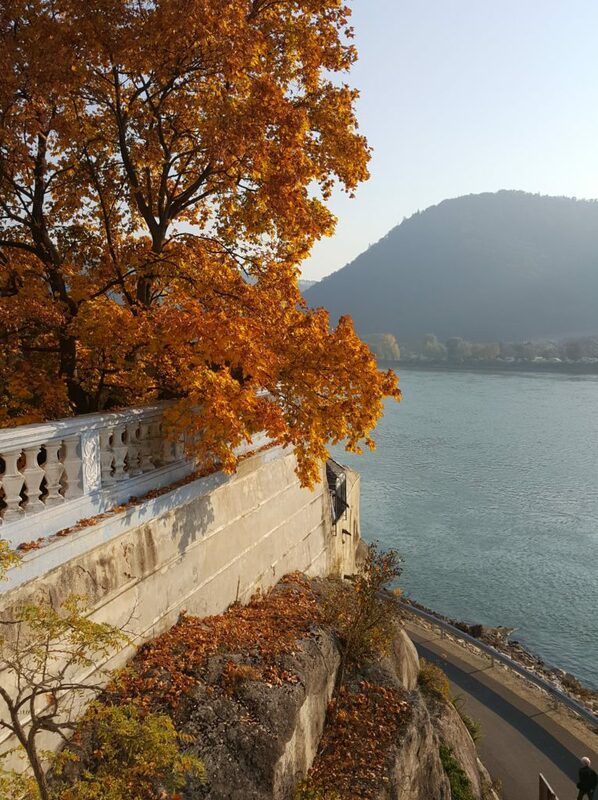 One of the many impressive sights of autumn along the Danube. 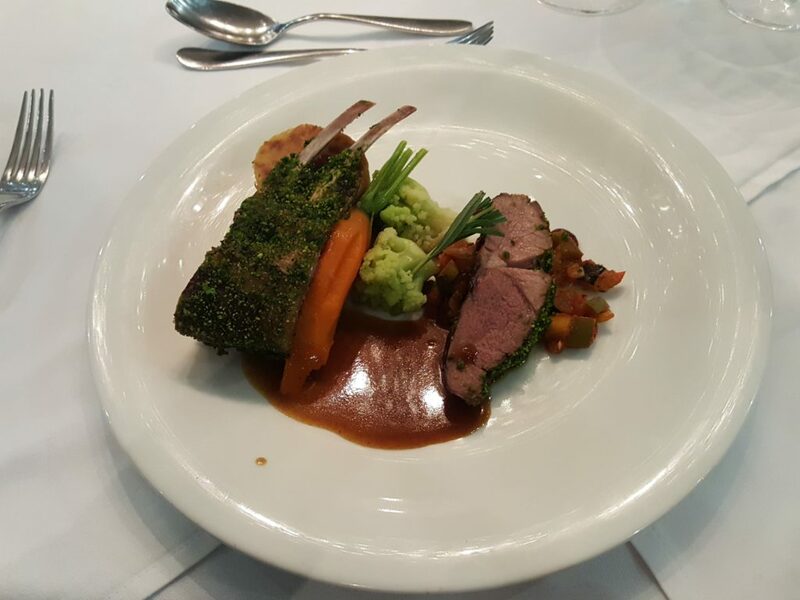 Wrapping up another amazing day with a special dinner on board the AmaCerto.